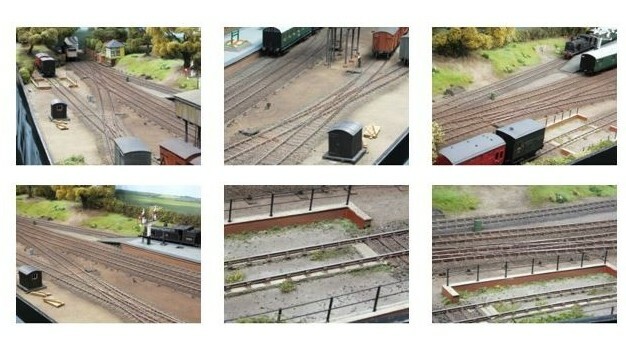 C&L Finescale aims to encourage modellers who are unhappy with how the trackwork on their layout looks, to rise to the challenge of building at least some of their own track or pointwork. Our simple method is to glue chairs to sleepers and timbers, rather than soldering rails to copper clad strips, to achieve prototypical looking trackwork that includes chairs and other detail. We want your track to compliment your layout and not to look out of place with highly detailed kit and ready to run locos and rolling stock. We are now able to supply both C&L and Exactoscale track components, along with the latest additions to our range in the form of wheels, gear boxes and wagon chassis and brake gear. The Carr’s range of products covers items for the preparations prior to soldering, solders & fluxes as well as post soldering treatments. The range also includes metal black treatments, scenic items, ballast, baseboard fittings and underlay which compliment the C&L range, and are joined by products from other manufacturers such as Antex (soldering irons, bits & accessories) and Roger Smith’s modelling products. We are also UK distributors for Tortoise ‘slow action’ Point Motors and accessories, and we still offer the ‘Timber Tracks’ range of laser cut plywood ‘Track Bases‘, although we are no longer able to obtain further supplies. We take our stand to around thirty Model Railway Exhibitions throughout the year and sell many of our products through other Traders and Model Shops, both in the UK and abroad.